Happy Saturday, everyone! 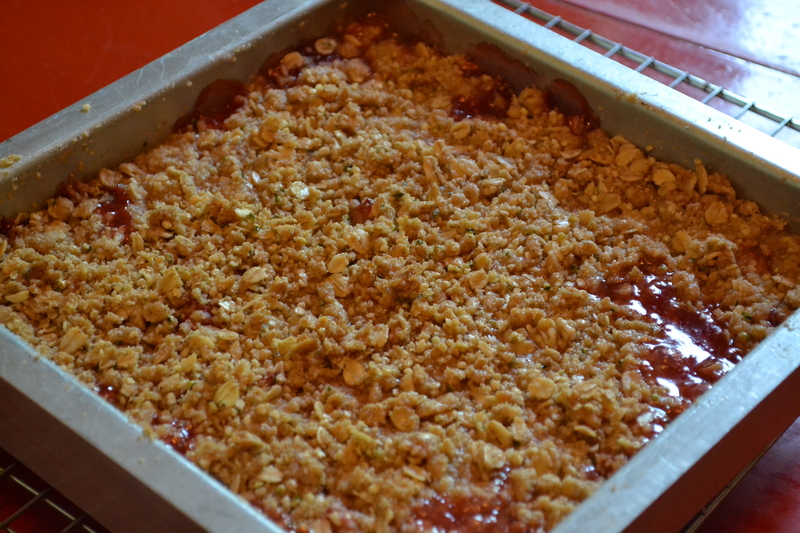 I love strawberry rhubarb pie SO much! So, my mom and I went shopping for ingredients to make a crisp. She is vegan, so we did make it vegan. I don’t think there’s a difference, other than no dairy! It tastes just as good! Recipe: Preheat oven to 350 degrees. Grease an 8×8 inch square baking pan with vegan butter. 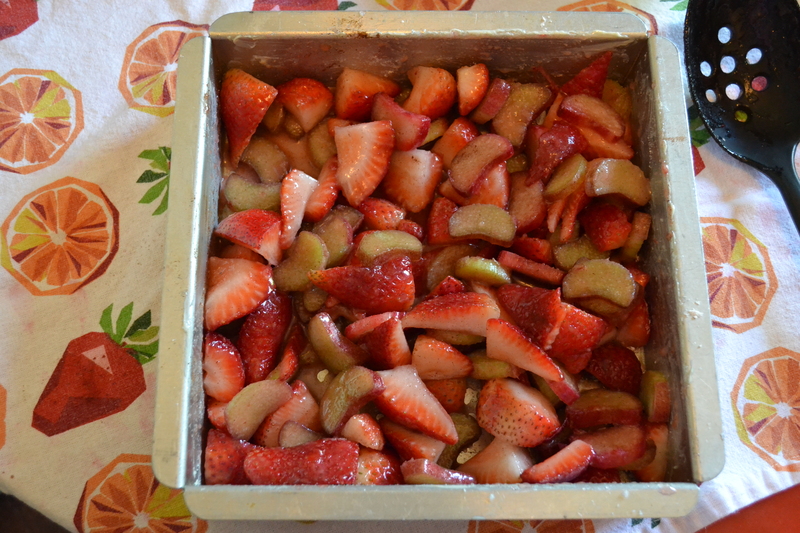 Filling: In a large bowl, mix together: 3 cups hulled and quartered strawberries 1 large stalk of rhubarb sliced into one inch pieces 2 teaspoons corn starch 1/2 cup white sugar 1 teaspoon vanilla extract 1/4 teaspoon cinnamon 1 pinch of sea salt into the greased pan. Topping: In a separate bowl, mix together: 1 cup unbleached flour 3/4 cup rolled oats 1/2 cup white sugar 1/2 cup brown sugar 1 teaspoon cinnamon 1 teaspoon baking powder 1/4 cup hemp seeds (Optional, but if you’re looking for extra protein, i would recommend this!) 1/4 teaspoon sea salt into a bowl. 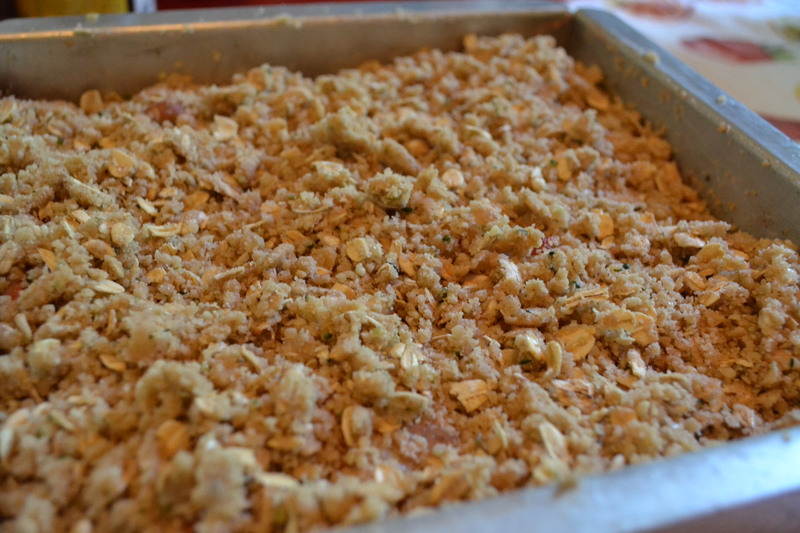 Once mixed, add 1/2 cup vegan butter into ingredients, and mix until crumbly. Sprinkle topping loosely over filling, covering the mixture. 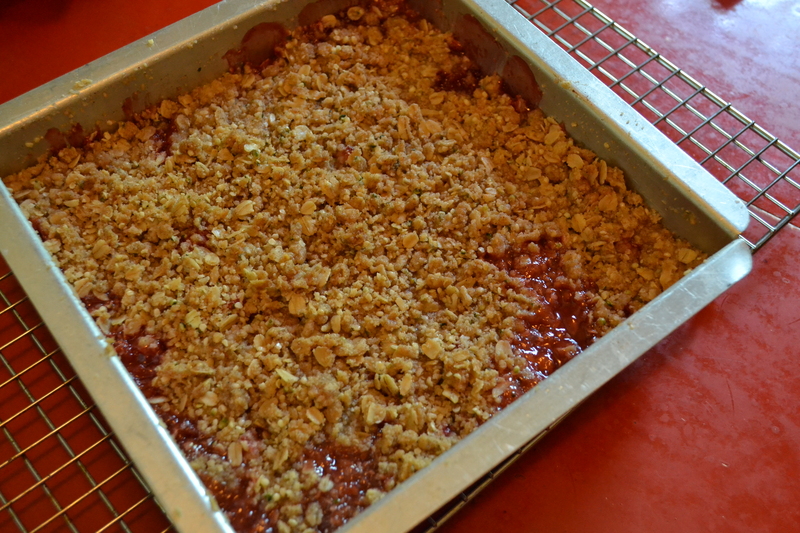 Bake at 350 degrees for 40-45 minutes, until fruit is soft and topping is light brown. Enjoy!! Hi there! I’ve been reading this blog for a while, and I love it! Keep up the great work! I made this for my kids and my youngest just loved it! 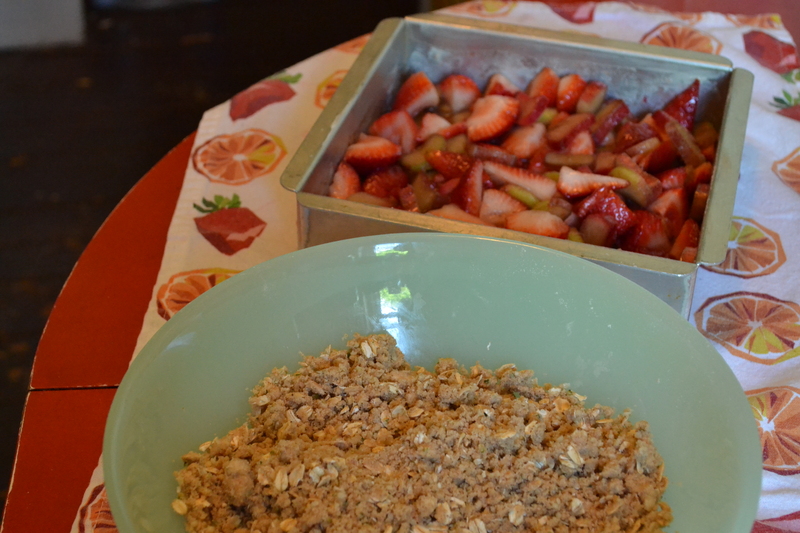 Thank you for a great take on strawberry rhubarb!